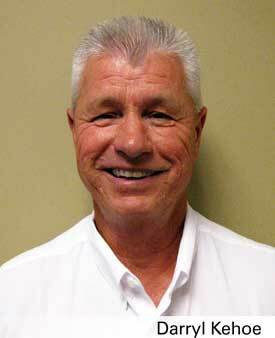 Ring Power Corporation announces the appointment of Darryl Kehoe to New Heavy Equipment Sales in Tampa, Florida. Kehoe, who assumed his new role June 1, joined Ring Power in 2002 as a Challenger agricultural tractors and equipment sales specialist. Since then, Kehoe has successfully grown the agricultural market segment for Ring Power. 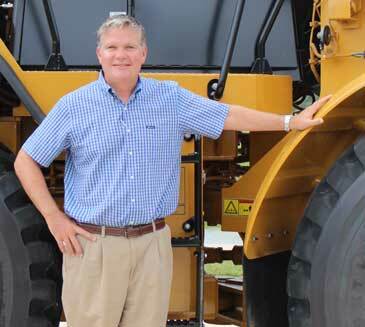 As a representative for new heavy equipment sales in the Tampa territory, Kehoe hopes to continue to build upon his reputation throughout central Florida to help further expand the company’s share of the construction, earth moving and mining equipment business. Ring Power Corporation, North and Central Florida's Caterpillar dealer, is headquartered in St. Augustine, Florida. Additional heavy equipment branch locations include, Tallahassee, Lake City, Jacksonville, Gainesville, Ocala, Perry, Daytona Beach, Orlando, Lakeland, Tampa, Sarasota, and Palm Bay. Ring Power is comprised of eight divisions and more than 45 years of experience servicing and supporting Caterpillar and allied equipment. Ring Power appoints Toby Crews as heavy equipment regional manager for Central Florida territory, based near Tampa, Florida. Ring Power Senior VP and Director of New Heavy Equipment Sales Tim Maguire announces the promotion of VP Toby Crews to the position of Central Florida Regional Sales Manager. Effective June 1, Crews will take charge of Ring Power’s Riverview, Fla. branch location, just to the south of Tampa in Hillsborough County. A 1994 graduate of the University of North Florida, Crews holds a bachelor’s degree in marketing and management. 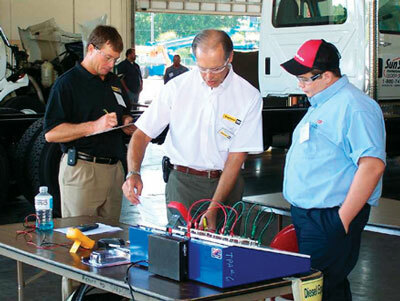 After joining Ring Power in April 1995, Crews worked hard to establish a successful track record as a sales representative for various divisions within the company, including new equipment sales for Ring Power Lift Trucks, rental sales for The Cat Rental Store and new equipment sales for Ring Power’s heavy equipment division. In 2005, Crews was promoted to Regional Sales Manager for the brand new location on Pecan Park Road in Jacksonville. Since then, his responsibilities have included heavy equipment sales for northern Duval County as well as general management of the heavy equipment, Cat Rental Store and truck engine operations at the branch. Crews looks forward to tackling the challenges of his new position. In addition to managing the Riverview facility overall, Crews will be responsible for the heavy equipment sales personnel and operations at Ring Power branches in Lakeland, Tarpon Springs, Sarasota, Brooksville, Orlando and Palm Bay as well as Riverview. Additional information about the Ring Power organization, its products, services and employment and career opportunities can be found on the Internet at http://www.ringpower.com. Brevard County saved many with a major rebuild of their landfill machines. Daily operating conditions at Brevard County Landfill are extremely harsh. 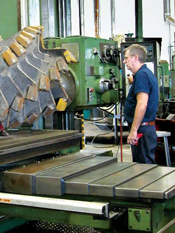 Sharp fragments, corrosive materials and sticky debris work their way into a machine’s components, accelerating wear and tear. Brevard County’s Solid Waste Division rece ntly rebuilt two of their worn fleet machines, a Caterpillar® D7R track-type tractor and a Caterpillar M316 wheeled excavator, at a fraction of the cost of buying new. 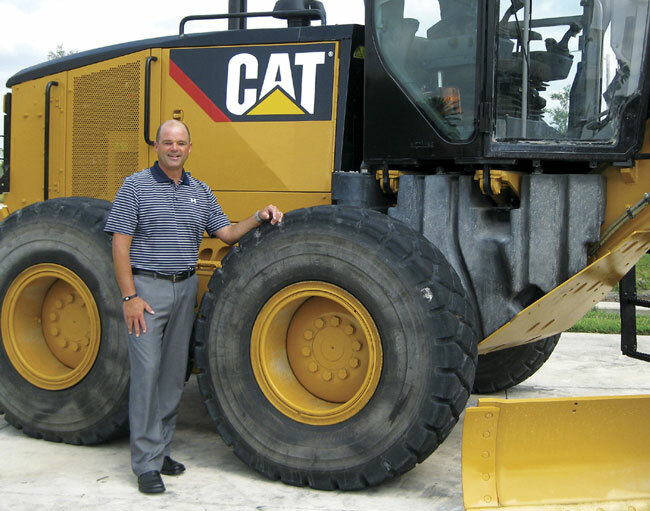 Justin William’s, Palm Bay Heavy Equipment PSSR, persistence convinced Brevard County officials that a Ring Power rebuild would help get their money’s worth out of their Cat machines, and his timing couldn’t have been better. Accustomed to replacing equipment every five years, Brevard County had not considered a rebuild since 1999, when the landfill’s 826C landfill compactor was rebuilt. Once officials started comparing current equipment pricing with Ring Power’s rebuild options, County officials saw the advantage: the powertrain rebuilds would save more than $415,000 when compared to the cost of replacing the two machines. The D7R was transported to Tampa’s Major Component Rebuild Center (MCRC) in early December 2010. Component specialists rebuilt the powertrain—engine, transmission, final drives, drive axles, differentials, hydraulic cylinders, pumps and motors—inspecting, testing and replacing as needed. Several weeks later, the M316 was brought in to Palm Bay’s service shop. Both rebuilds were completed within the scheduled 30 days, but the M316 was not delivered to Brevard County until March, after some additional work was completed. Brevard County solid waste officials are very pleased with the “good as new” quality of the rebuilds—right down to the paint jobs! Congratulations to Ring Power’s Heavy Equipment service and product support personnel in Palm Bay and Tampa who made the rebuilds happen! 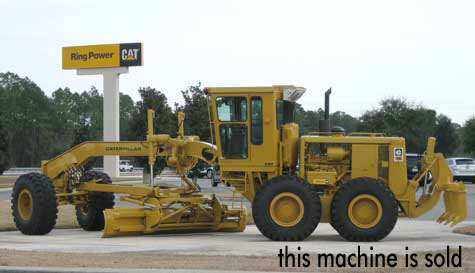 When it comes to overall productivity and operating cost, a Cat® machine is the best equipment investment you can make. When most competitive models reach the end of their life cycle, replacement may be the only solution. 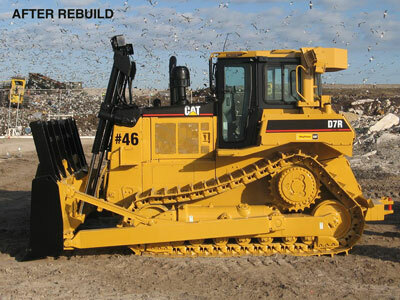 But Cat equipment has a sustainable design that allows the machine to be remanufactured by reusing many of the original parts, reducing waste and delivering a cost-effective alternative to replacing with new equipment. 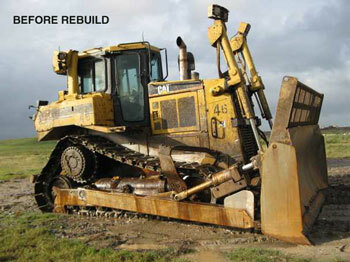 To have your machine evaluated for a second-life rebuild and to see how much you could save, contact Ring Power.